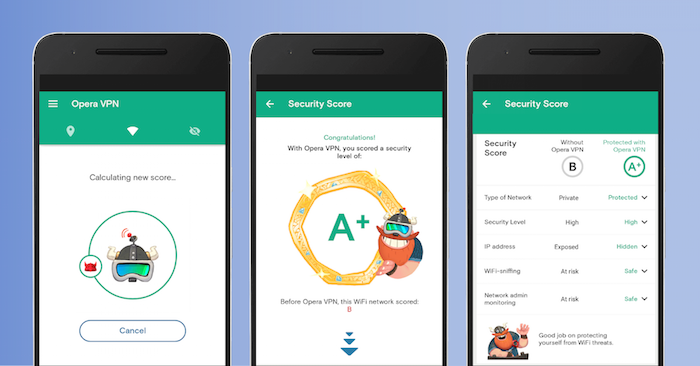 Keen on checking your Wi-Fi security and getting more online content with a free VPN for Android? 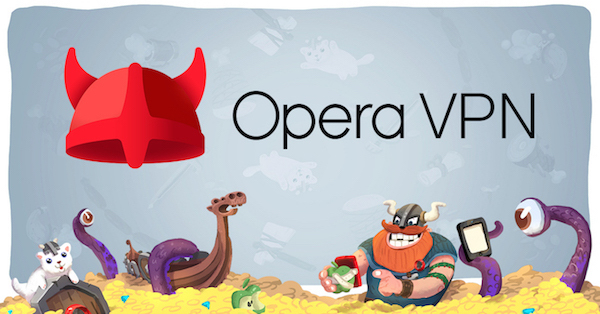 Head over to Google Play today and get our newest app, Opera VPN for Android. 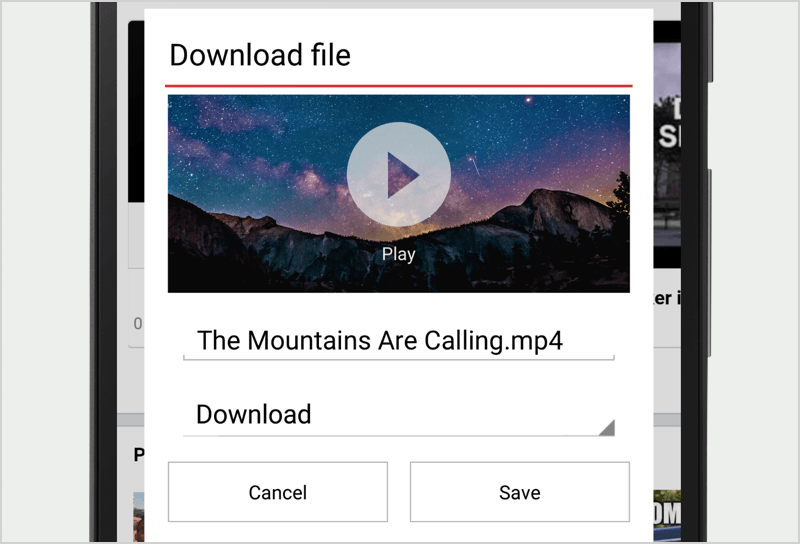 It has no data limits and requires neither a log-in nor a subscription. If you have an iPhone, you can also get Opera VPN for iOS. 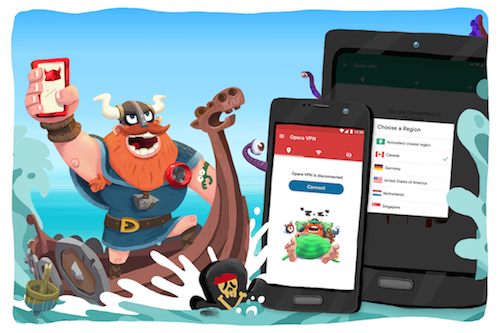 This free VPN app for Android lets you choose from five server locations: USA, Canada, Germany, Singapore and The Netherlands. The Wi-Fi test tool will scan the Wi-Fi network you’re connected to. If the test tool detects any weaknesses, it will advise you to enable the VPN. 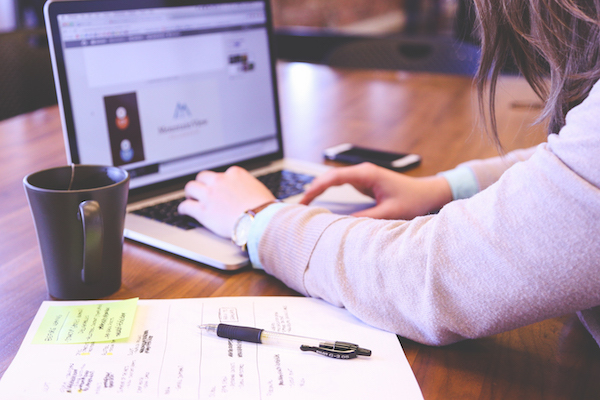 The test tool gives a score from A, which means the network is secure, to F, which means the network is insecure and you should proceed with extra caution. It also checks whether the Wi-Fi network is public or private, if it’s encrypted, how many other devices share the same connection, if the IP address and the location are exposed, and if others can monitor or sniff your device details. Once you’ve downloaded our free VPN app, you’ll see how easy it is to navigate the app with Olaf guiding you through. 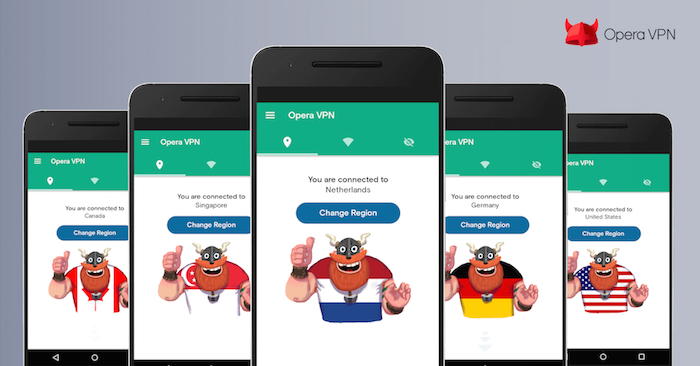 Enjoy getting more out of your Android device with Opera VPN app? Tell us what you think about it. Ping us with a comment below or tweet us. We’ll be glad to get your feedback.